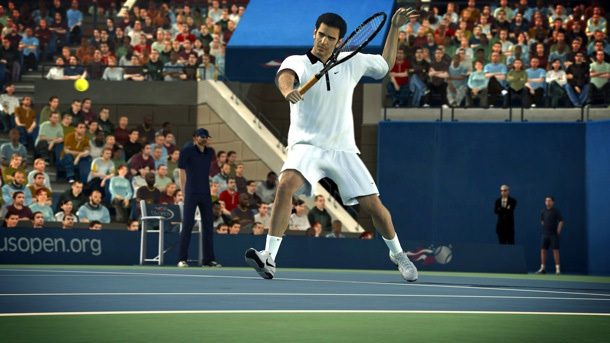 2K's definitive tennis series returns to centre court on the PlayStation 3, Wii and XBox 360 which adds a few new twists to the gameplay. For me, the Top Spin series reminds me of EA Sport's FIFA series because just about all releases are quite competent and generally better the previous instalments which is true of Top Spin 4. For the initiated, Top Spin was first released in 2003 on the XBox which raised the bar for tennis games in the console world. Supporting the most realistic tennis gaming mechanics at the time with some spectacular graphics, gamers finally had a sturdy tennis game and now, almost 8 years later, Top Spin 4 is available that supports the innovative controls of the PlayStation Move plus 3D! The first thing that I wanted to do with Top Spin 4 was test the new controller configuration for the PlayStation 3, the PlayStation Move. Sure, EA had Grand Slam Tennis on the Nintendo Wii but something was missing and the accuracy was a little to be desired at times. Even though the game is reminiscent of a Nintendo Wii game with the Move controllers, the accuracy is quite impressive as you use your body to hit these tennis shots. To control your character, you move the analog stick and the combination works, without too much kerfuffle. It is far better than the Wii, however you cannot beat the accuracy of the DualShock controller but for what it's worth, it does a decent job. With that said, the Move controller is not a mandatory accessory required to play Top Spin 4 and without it, the game is quite sturdy on the standard DualShock controller as each of the d-pad buttons are assigned to a particular tennis shot like lob or top spin with the analog sticks used for control. The controls definitely feel more fluid as opposed to Top Spin 3 and it just feels tighter and more responsive, especially using the analog stick to serve. All in all, the control system is easily the best in the franchise. With a variety of game modes from exhibition matches, multiplayer and our favourite, the career mode, Top Spin 4 boasts some great replay value. Career mode is definitely the heart of the game which contains a basic RPG levelling element with 20 levels available. It's fun making your way up the international tennis ranks as you take on greats such as Federer, Roddick, Williams, Nedal and lots more like classics such as Andrew Agassi or Boris Becker. The character generator in Top Spin 4 is quite innovative and easy to use which does allow you to create your own players but like most generators, tweaking and a healthy amount of time is required to make that perfect avatar. As you make your way up the ranks to international tennis star, you need to complete in a variety of events in order to gain experience points. 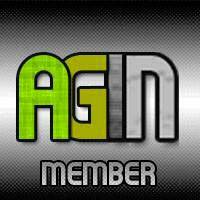 Apart from competing in a variety of events like exhibitions and tournaments (e.g. Australian Open, US Open & Sonic Ericsson Masters), your character can even attend promotional events that is kind of amusing at the start and a little lame at that. Although these generally don't add anything to your tennis ability, it does assist in boosting your fans and XP that is required to move up the ranks. 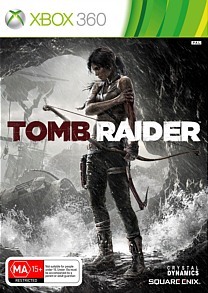 Nonetheless, it does create a sense of RPG to the layer of gaming. 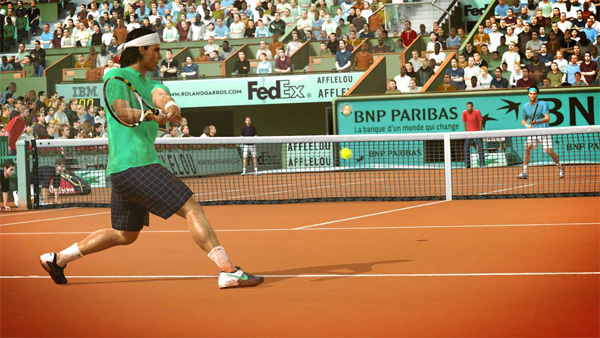 Training allows you to fine tune your tennis abilities and the title does give you in-game challenges like completing certain shots or styles during your matches. As you do progress, you can hire new coaches that once again goes towards improving your playing career. Apart from playing people online just for the fun it, the game supports a rather in-depth World Tour mode that allows you to compete against other players for top seed. Best of all, experience earned online goes towards your character off-line which definitely smooths the transition from offline to online. Graphically, Top Spin 4 is a good looking game on the PS3 with many of the real tennis players who grace this game looking like their real-world counterparts so when you see Nedal or Williams, they actually look like they should. The animation is quite smooth and the players interact well with both the court and the ball. Another highlight are the backgrounds that mimic the various tennis stadiums from around the world. The crowd also gets into the spirit of the game as well and at times, it's like watching tennis on TV at how realistic it looks. 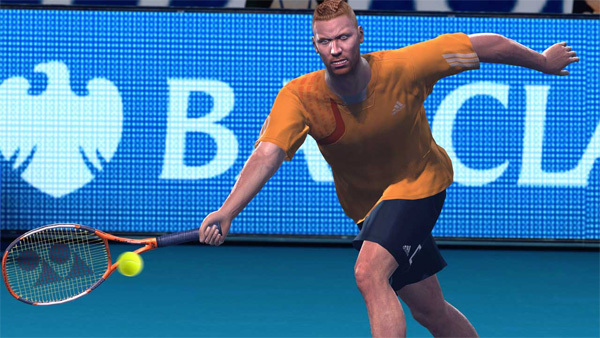 The game makes use of 3D and if you have a TV which supports this feature, especially with the PlayStation Move controller, it really transcends this game from standard console title to virtual tennis experience. Music is rocking and sound effects, including commentary are on the professional side. 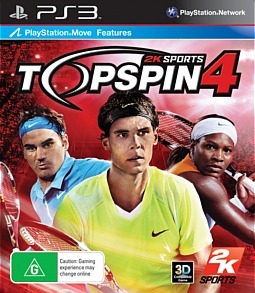 In the end, Top Spin 4 is a very sturdy tennis game on the PS3 and like the FIFA series from EA, the developers are always trying to better and fine tune the game which they have succeeded in this current instalment. Although you cannot beat the accuracy of a DualShock controller, the implementation of the PlayStation Move to this franchise does take it into the Wii territory but betters this concept considerably. The PlayStation Move aspect is definitely the way to go with a second person and it does give you a relative slight workout as you move around your living room, slogging that virtual ball. Add in a decent career mode and great online connectivity and Top Spin 4 is a winner on many levels.